Don’t go the pathway of mediocrity. Don’t fall into the trap of uncommon thinking. Your dreams are precious and unique, and they were given to you by God. God can help you move your dreams from the realm of ideas into the realm of reality, but you must become His partner in the effort. And in that effort, your imagination is your greatest connection. Throughout life, people will always try to force their own dreams upon you. People will want things for you or from you that perhaps you never dreamed for yourself. 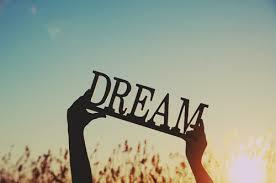 What would be the point in living if you lived the dreams of others? Identifying “your” dreams and aiming to “go” in their “direction” is vital in finding happiness. Great post! My first read in the morning! LooKing forward for more amazing posts. Yeah! You are blessed. Always check us here every Monday morning for another interesting and soul uplifting spiritual and universal principles. You will succeed! Brilliant posts. Looking forward to this. Thank you.